Deluxe, easy-to-read stainless steel 2 7/8" dial. 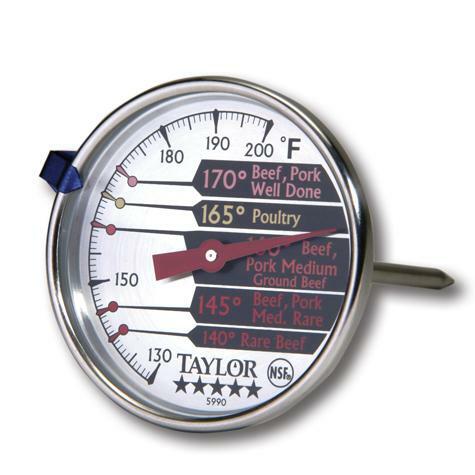 Common meat cooking temperatures printed on dial. Durable 4.5" stainless steel stem.